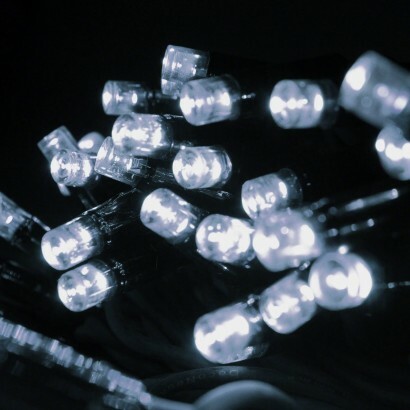 These bright white 100 LED stringlight sets offer 9.9m of illumination per set and can be connected to up to 50 other sets to achieve a whopping 495 metres of light from just one plug! 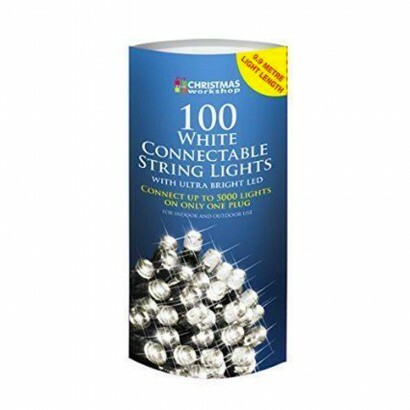 Ideal for lighting installation indoors or outdoors, the cool white colour is ideal for Christmas lighting giving a cool sparkle to displays or for summer party lighting adding enchantment to your home and garden. Very pleased with these lights. Fit together easily and look really great. Good quality.